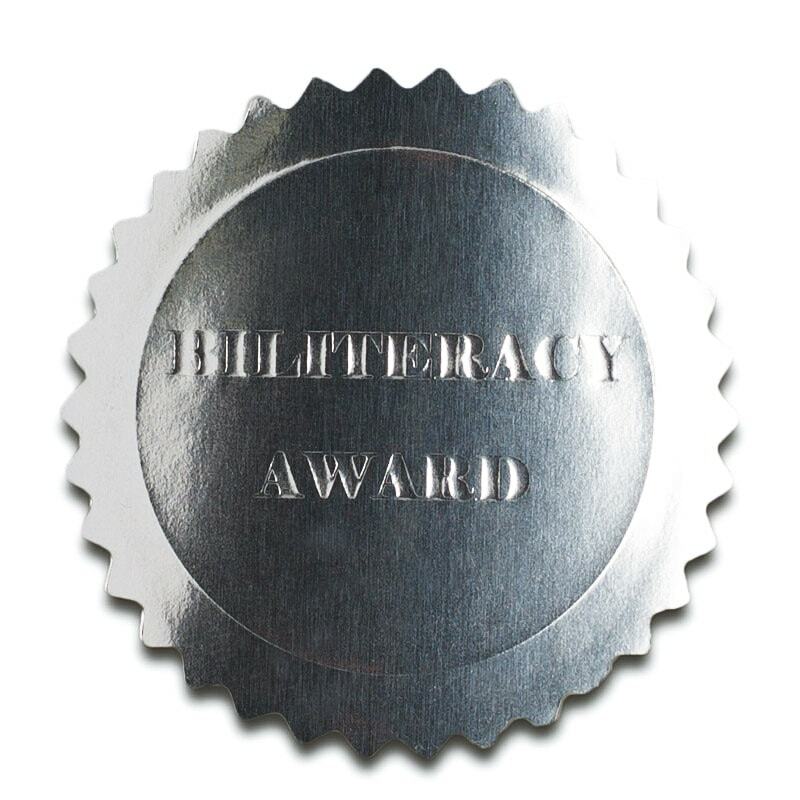 These silver stickers can be affixed to district certificates or any other document honoring the students who have met local criteria for district biliteracy pathway awards. The stickers are 1 1/2” in diameter. 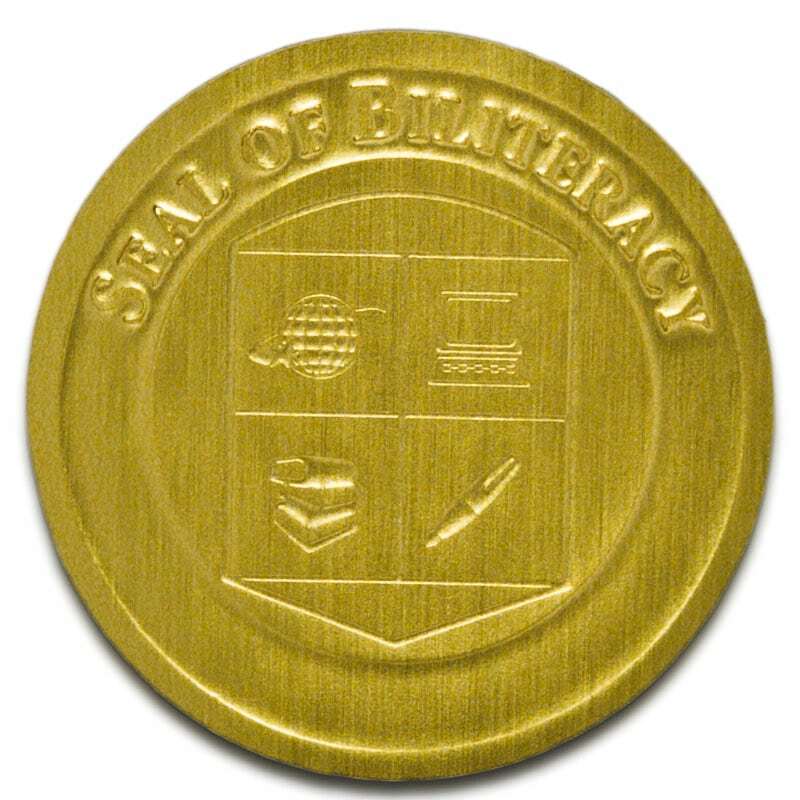 These silver stickers can be affixed to district certificates or any other document honoring the students who have met local criteria for district biliteracy pathway awards. The stickers are 1 1/2” in diameter.